UPDATE: Police now say the reported attack on an 11-year-old girl wearing a hijab "described in the original news release did not happen." Full details here. 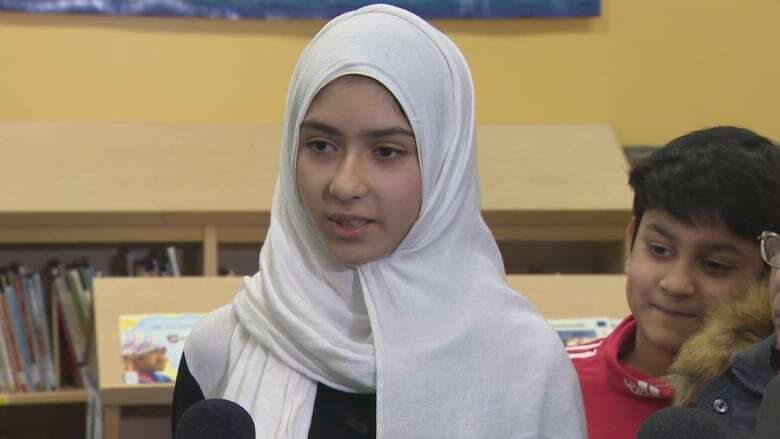 "I felt really scared and confused," Khawlah Noman, a student at Pauline Johnson Junior Public School in Scarborough, Ont., said at a news conference Friday afternoon. 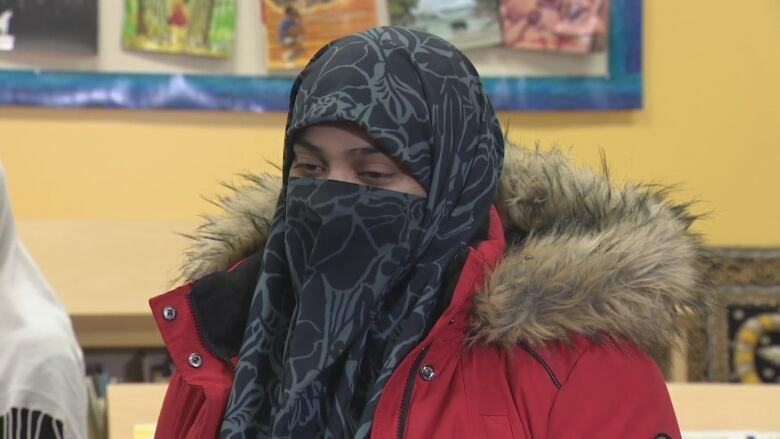 "He continued cutting my hijab again" before smiling and running away, said Khawlah. Toronto police are investigating the incident as a hate crime. Prime Minister Justin Trudeau talked about the attack during a speech wrapping up a two-day cabinet retreat in London, Ont., on Friday afternoon. "My heart goes out to the young girl who was attacked, seemingly for her religion. I can't imagine how afraid she must have been," he said. "I want her and her family and her friends and community to know that that is not what Canada is." Ontario Premier Kathleen Wynne and Toronto Mayor John Tory also released statements condemning the attack. "No child should ever be afraid walking to school in Toronto because of what they are wearing or for any other reason and I want to assure the family that Toronto police are investigating," wrote Tory. Khawlah said she's now "actually really scared" to walk to school. "What you're doing is really wrong, you should not act like this, and especially, I'm a kid," she said, addressing her attacker. Khawlah's mother, Saima Samad, was by her side as she spoke to reporters. "I'm just happy she's safe," said Samad, her voice breaking. "I don't know why he did that, but it's just not Canada." Toronto District School Board spokesperson Ryan Bird told CBC Toronto that police and Khawlah's family were contacted immediately after the girl reported what had happened to school officials. "This is shocking to learn of this assault. And we'll be working closely with police to offer any assistance that we can. In the meantime, we're offering supports to the impacted student and her family," said Bird. Police are asking for the public's help to identify the attacker described as Asian, of medium build, with a thin moustache and black prescription glasses. The man is said to be in his mid-20s, and was wearing a black hooded sweatshirt and black pants. They are asking that anyone with security or dash cam video who may have been in the Birchmount Road and Bay Mills Boulevard area around 9 a.m. to check their footage in case they captured the attack.